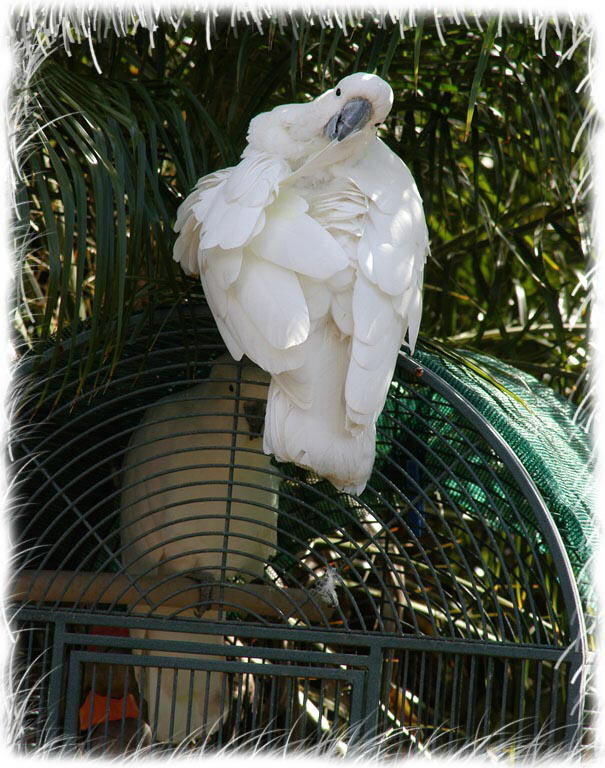 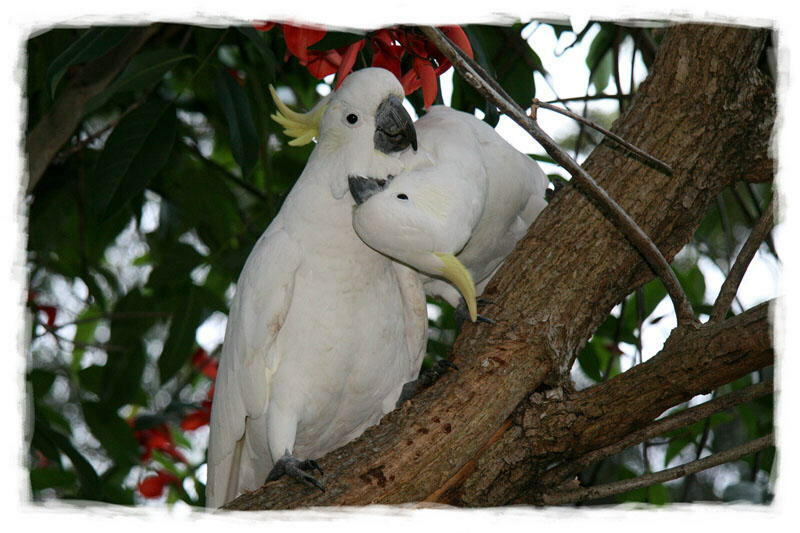 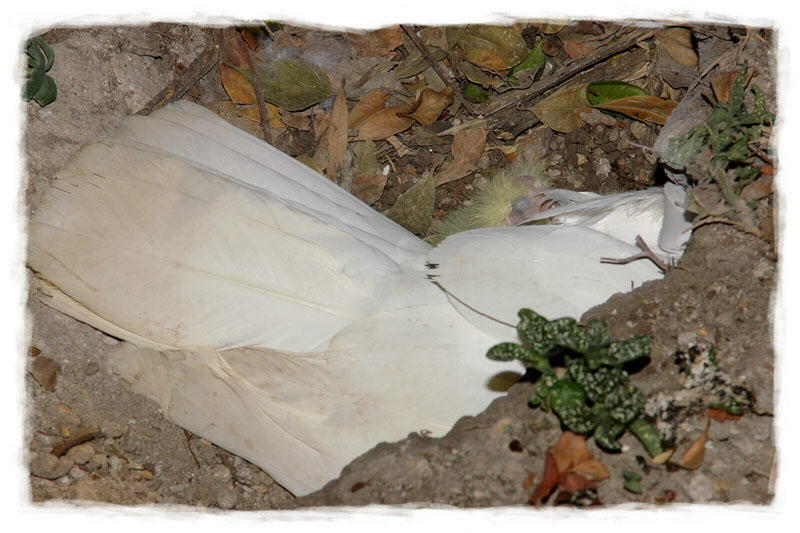 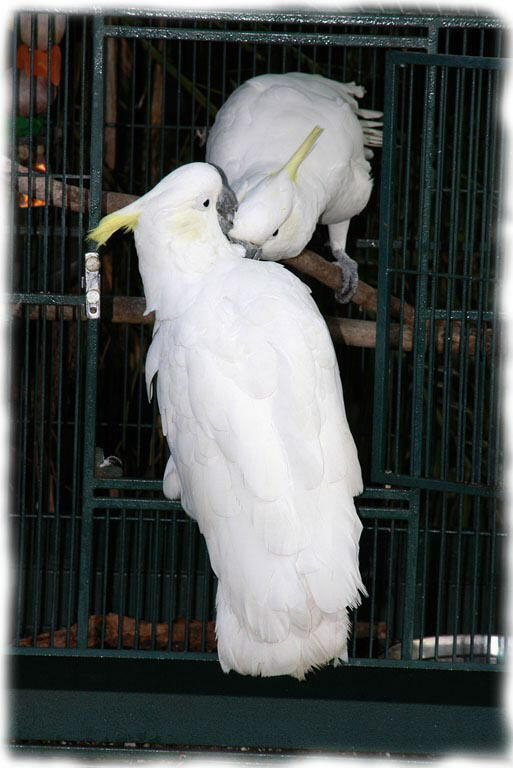 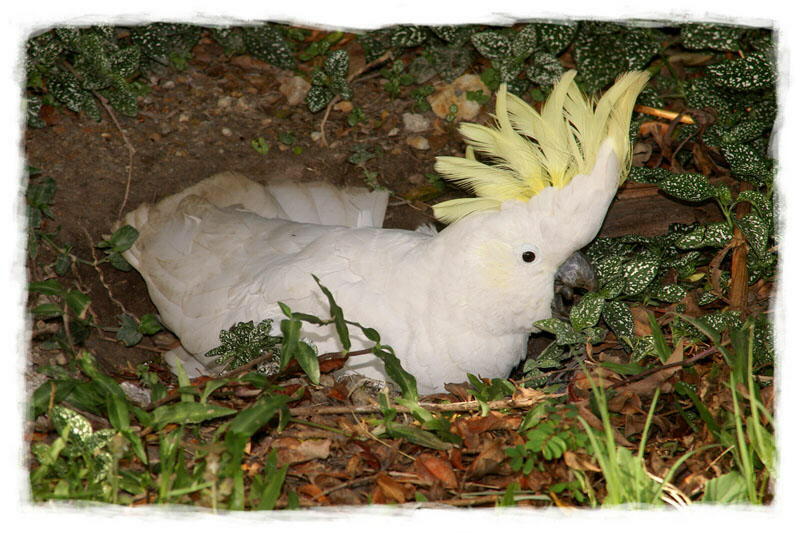 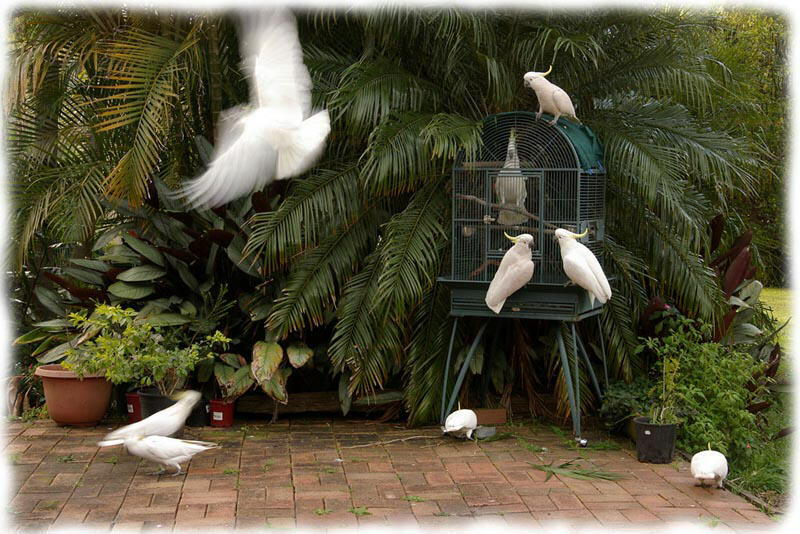 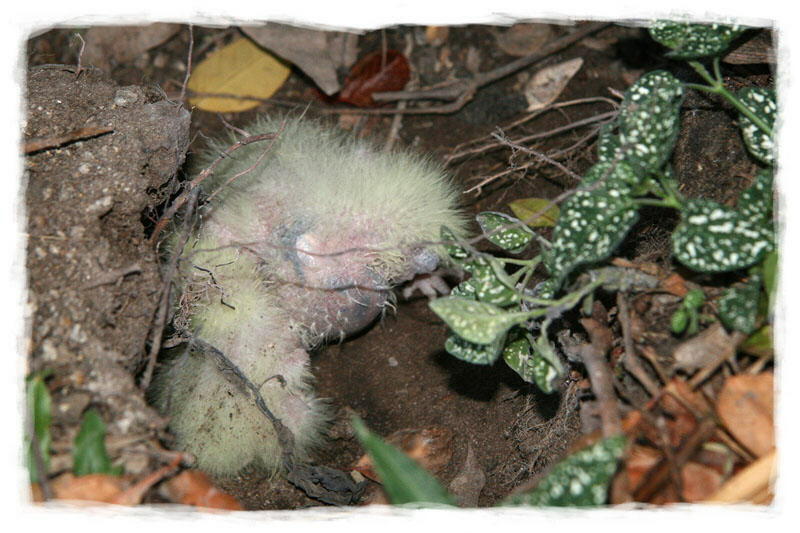 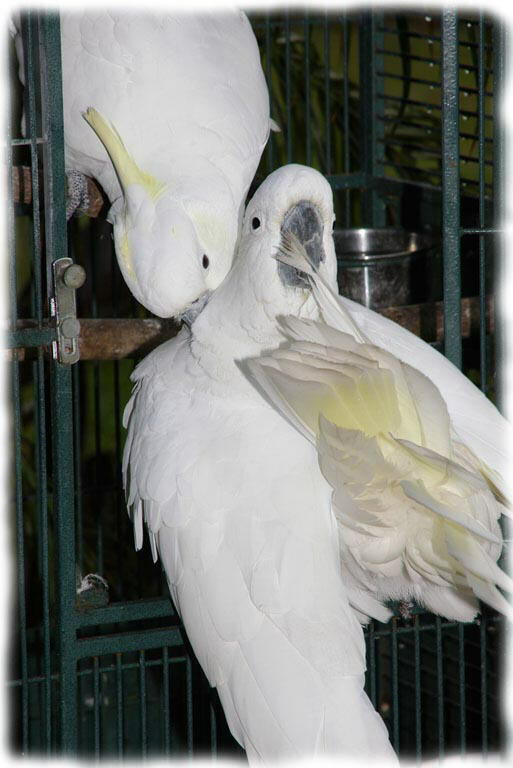 About eight years ago a wild Australian Sulphur Crested Cockatoo flew into a car and broke its wing. 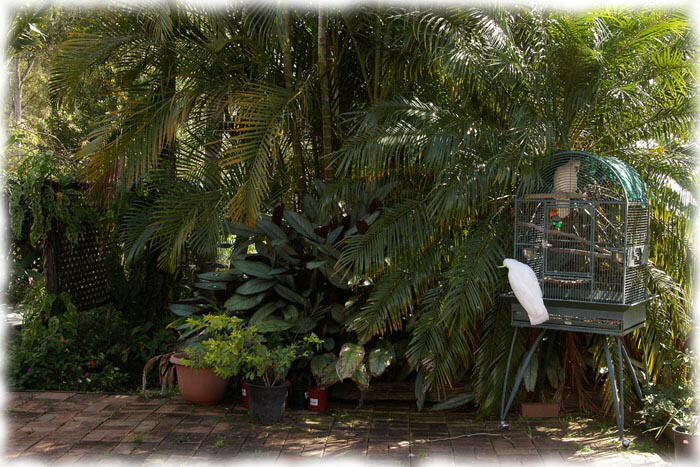 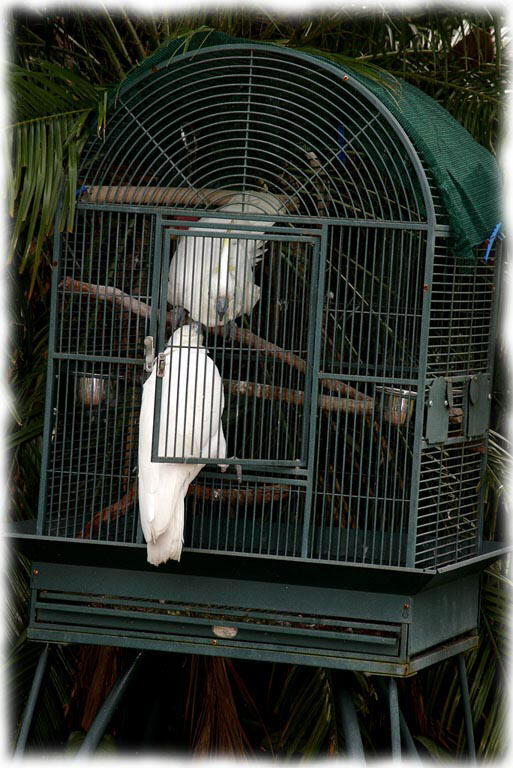 The motorist took it to the Vet in Nerang , Queensland , who had to amputate the wing. 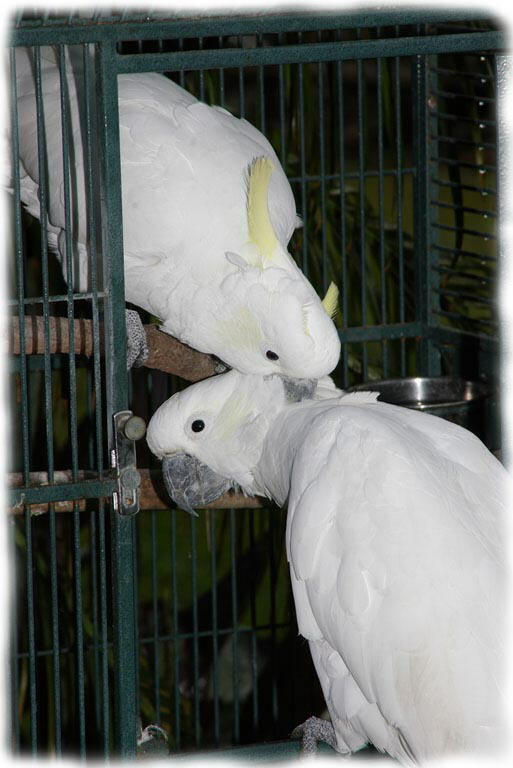 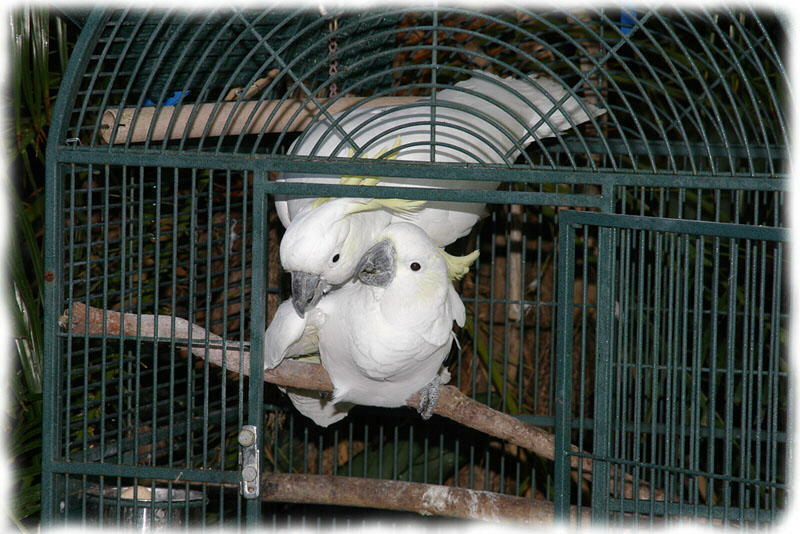 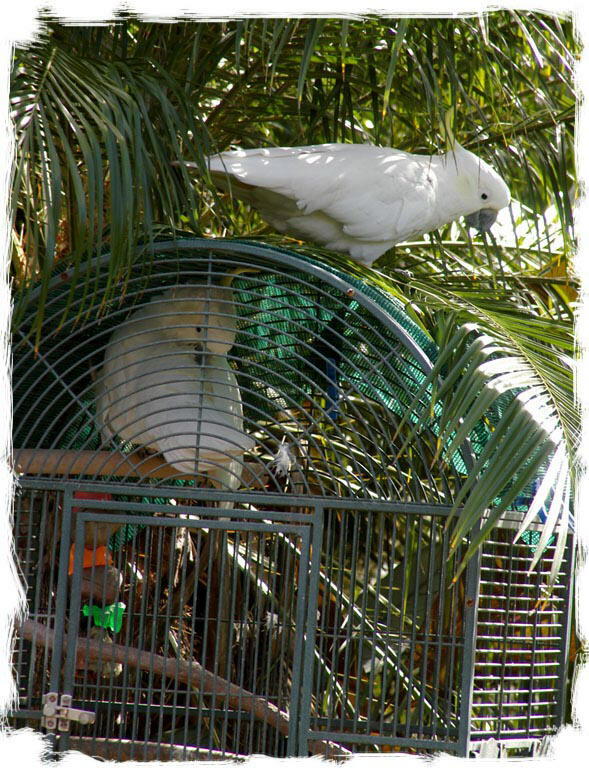 We adopted her - for which we needed a National Parks and Wildlife permit - and kept her in a cage outside where she was often visited by wild Cockatoos. 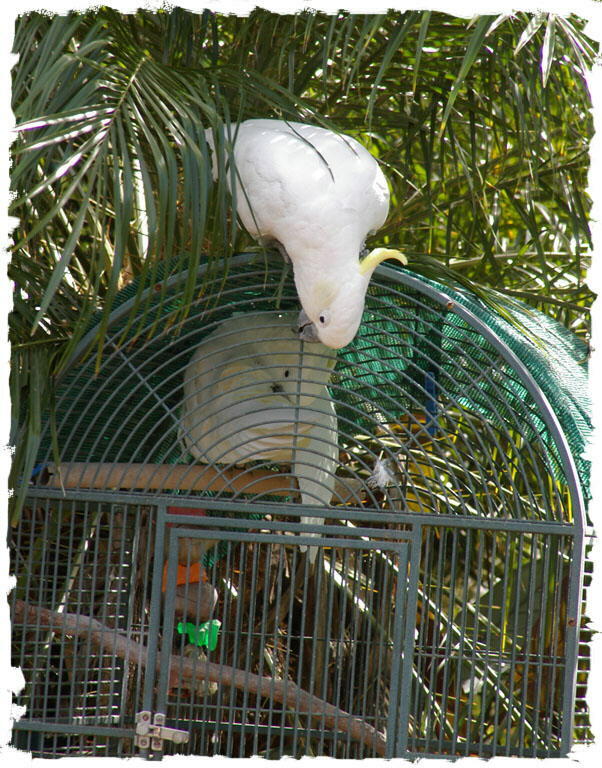 One of the things that impressed us was how she would push lettuce leaves through the bars of the cage, offering food to visitors. 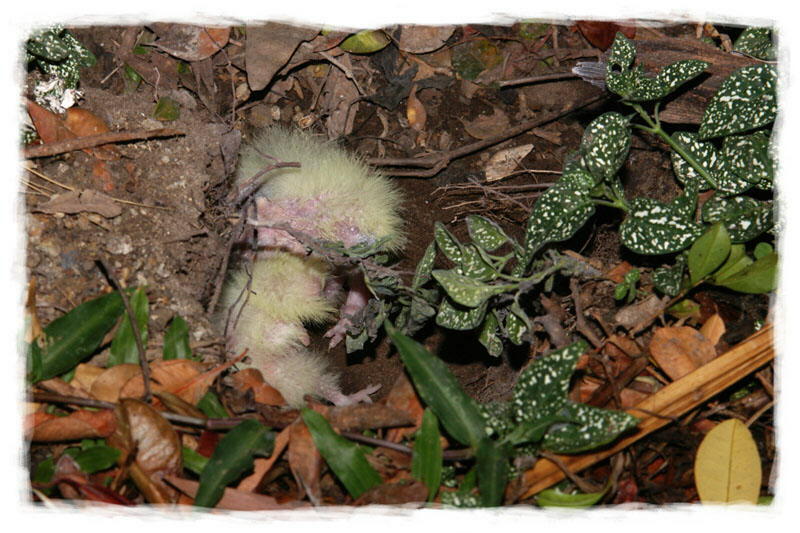 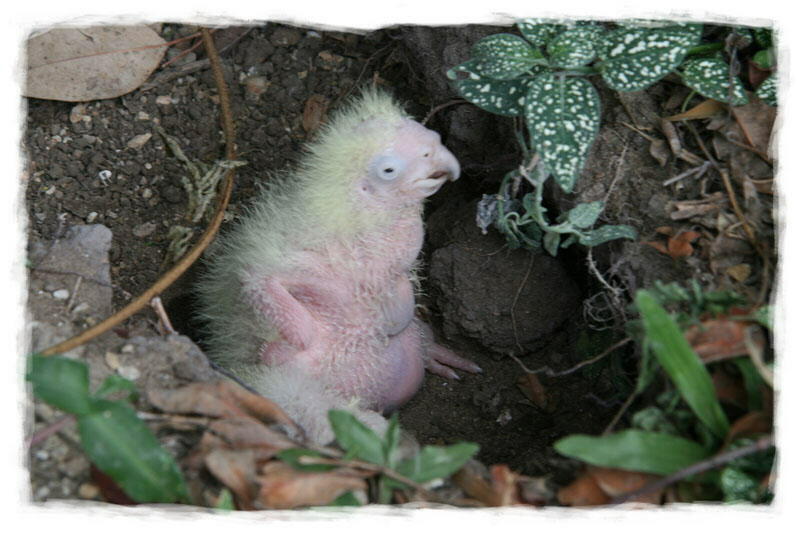 Things got interesting when he approached the front door. .
Well, I hope his mother thinks he is pretty and eventually I might think so too but at the moment, both of them just look like pink balls with a bit of yellow fluff.